Aciclovir is an antiviral medication primarily used for the treatment of herpes simplex virus infections, chickenpox, and shingles. Order Aciclovir Tablets! ✓ 100% Satisfaction. How Does Aciclovir tablets Works? Aciclovir is the most popular antiviral drug available in the market. Aciclovir is very commonly prescribed to treat herpes simplex virus infections, chickenpox, and shingles. To be clear Aciclovir tablets fights off cold sores around the mouth -caused by herpes simplex, shingles – caused by herpes zoster, and chickenpox – caused by varicella virus. It also slows down the growth of the virus in the patient’s body. Aciclovir tablets does not cure herpes but just helps manage the symptoms. Although Aciclovir is an antiviral drug. However, it is not a cure for these infections. The viruses that cause these infections continue to live in the body even after treatment. Aciclovir decreases the severity and length of these outbreaks. It helps the sores heal faster, keeps new sores from forming, and decreases the pain and itching caused by these infections. This medication may also help reduce the pain that remains after the sores heal. Aciclovir tablets also helps people with a weak immune system by decreasing the risk of the virus spreading to other parts of the body and causing serious infections. Aciclovir has the approval of the Food and Drug Administration (FDA) to treat viral infections like chicken pox and shingles, caused by varicella virus. It is also very effective to treat genital herpes caused by herpes simplex viruses. It is commonly prescribed for treatment for these infections. Sometimes doctors prescribe Aciclovir to treat herpes infections in people with HIV. Aciclovir is in a class of antiviral medications called synthetic nucleoside analogues. It works to stop viruses from dividing and multiplying. Aciclovir tablets are helped by enzymes thymidine kinase by the VZV and HSV to get converted into nucleotide analogue in the form of mono-phosphate. Mono-phosphate form of Aciclovir later gets transformed into di-phosphate due to the cellular guanylate kinase and then into tri-phosphate due to the number of the cellular enzymes that works to inhibit herpes simplex virus types 1 (HSV-1), 2 (HSV-2), and varicella-zoster virus (VZV). Aciclovir adopts its own ways to works in a number of different ways to stop these viruses from replicating. This medication works best if given to the patient at the onset of first symptoms of an outbreak, but if the treatment is delayed it may not give the desired result. Anyone suffering from viral infections mentioned above must consume tablets only under proper medical prescription and also strictly follow the dosage pattern recommended by the doctor and do not alter your dose, skip any doses, or stop this medication without intimating the doctor. What is the Recommended Dosage of Aciclovir Tablets? Aciclovir is available in the form of tablets, capsules, and liquid form in the dose strength of 200 mg, 400 mg as well as 800 mg. Before taking this medicine consult your doctor. He will recommend dosage based on your age, health condition, based on weight, your tolerance towards medication and various others factors, because Aciclovir tablets dosage is different for each person. Hence, one should not take this medicine without consulting the doctor and this tablets should take with proper medical prescription only. Once you start to take this medicine complete the entire length of time prescribed by your doctor and do not alter the dosage of this medicine. You can take it with or without food and drink plenty of water while you are taking Aciclovir to keep your kidneys working properly. If you miss the dose skip the dose if it is almost time for your next scheduled dose. Do not overdose yourself by taking extra drug, if you do so you may experience symptoms like agitation, seizure or loss of consciousness so be cautious while you take this tablet. When you take Aciclovir Tablet do not chew or swallow, instead keep the tablet in your mouth throughout the day and let it dissolve and if the tablet falls off ,you take a new tablet. If you accidentally swallow the tablet, drink plenty glass of water and put a new tablet in its place. Aciclovir online can be consumed 3 to 4 times in a day or as per the instructions given by the doctor depending on the problem. Aciclovir 200mg tablets online. What are the Precautions Should You Know Before Taking Aciclovir Pills? 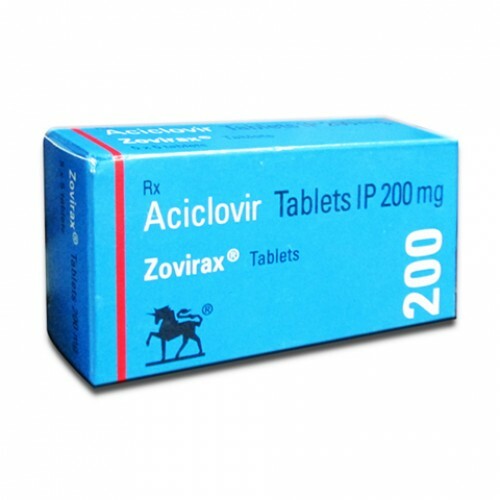 Aciclovir belongs to the class of medicines called antiviral. Aciclovir is available in a number of different formulations including a tablet, capsule, suspension, buccal tablet, cream and injection. Take Aciclovir exactly as prescribed by doctor, even if your symptoms improve. If you are allergic to the chemical present in Aciclovir tablets then inform your doctor about the same before you start the medicine, because this drug consist of various inactive components that may cause sudden allergic reaction after consumption. Hence, it is strictly recommended that you should not take tablets without consulting your health care provider or any local pharmacists. If you are on any other medication or treatment, you should avoid the intake of Aciclovir tablets, as it can lead to serious side effects due to reaction between the components of two drugs. Do not consume alcohol or any other strong beverages along with drug as it may delay the action of this drug. If you notice changes in your weight while on Aciclovir medication for long-term discuss the issue with doctor as Aciclovir dosages are based on weight. Keep yourself hydrated when taking Aciclovir. Herpes infections are highly contagious depending on the problem, follow doctor’s instruction and maintain distance to avoid spread of infection. Keep the medication out of reach of children and pets. What are the Warnings while consuming Aciclovir tablet Medicine? Taking this drug may cause red blood cells and platelets to drop to dangerously low levels in your body. This could put you at risk that can be fatal. If you’re suffering from kidney problems inform your doctor before you start to take this medicine. People with nervous system disorders should avoid taking this medicine. When you take Aciclovir make sure to drink sufficient water as Aciclovir tablet increases the risk of dehydration. Do not wear contact lenses while using drug. People who are allergic to the chemical composition of Aciclovir should not take this drug. This drug should not be consumed by pregnant women or nursing mothers. This medicine is not meant for young children. What are the Side Effects of Aciclovir 200mg? Aciclovir is a medication causes side effects when consumed as it happens when you take any other drug. These are some of the side effects caused by Aciclovir tablet 200mg. Although all these side effects heal after some time when user becomes used to medication. However, if the problem does not subside and stays for longer time then one should contact the doctor immediately. Buy Aciclovir Tablets online. Valtrex tablets effectively relieve the symptoms of herpes and cold sores. Buy this effective treatment quickly and discreetly online at Medstoreland. 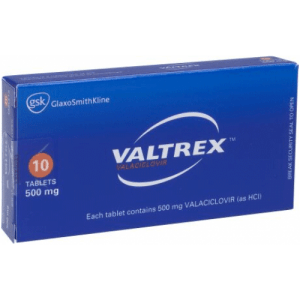 Order Valtrex Tablets! ✓ 100% Satisfaction.